Laser engrave aluminum, steel, titanium, and more with barcodes, labels, and logos. onto engineered plastic or any type of metal. you are engraving, you can create custom etching. 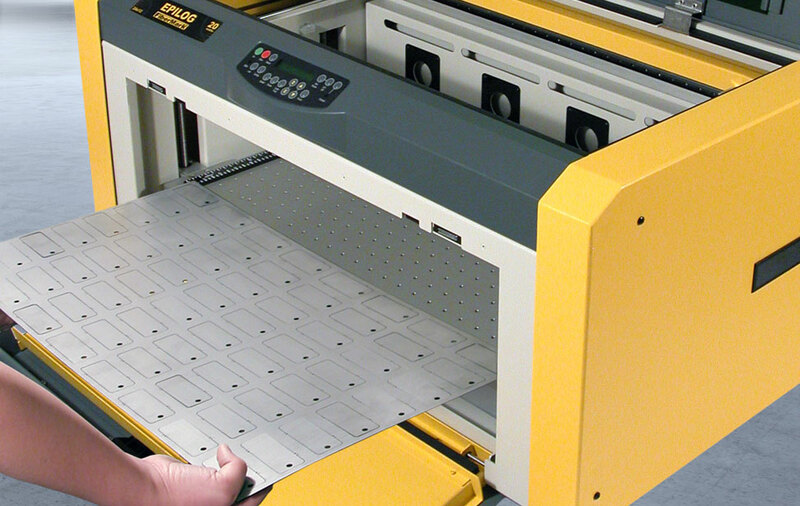 Laser engrave your barcodes, serial numbers, text, and logos with an Epilog Laser machine. Our fiber laser machines can engrave or mark all types of metals including stainless steel, aluminum, tool steel, brass, titanium, and much more, allowing you to create a variety of mark types in no time! Whether you're engraving one product label at a time or a table full of components, Epilog's easy setup process, job processing features, and precise marking capabilities make our fiber laser machines an ideal choice for your metal and plastic marking requirements. 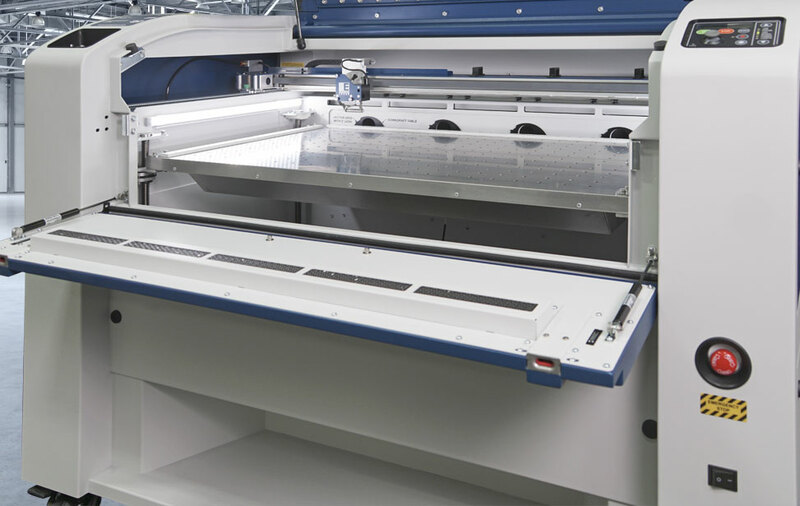 The Fusion Pro laser machine is Epilog Laser's large flatbed fiber laser machine, perfect for engraving barcodes, text and logos on metals and engineered plastics. The Fusion Pro is available in 32" x 20" (812 x 508 mm) and 48" x 36" (1219 x 914 mm) models and features our highest engraving speeds and our standard industrial-grade quality. Laser etching metal with a fiber laser machine from Epilog is a quick and easy process. With the accuracy of a laser metal engraver, it is possible to produce precise marks with no clean up or additional finishing process needed. To have a specific material tested, contact our Applications Lab. Create a parts jig to streamline the barcode labeling process and engraving on hundreds of pieces in a short period of time. You can easily place your jig of parts into the machine either through the top window door or the front-loading access door. Easily set a temporary home position to engrave or mark uniquely shaped items. Use the top left corner as your home position, or easily move the laser head to a custom spot on the engraving table to quickly process single parts or components. 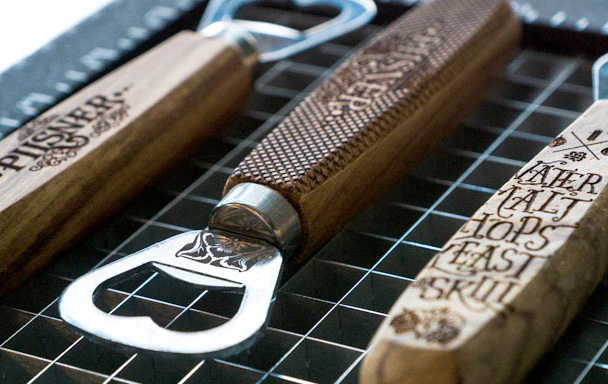 Laser engrave on cylindrical metal parts and tools with our two Rotary Attachment options. A Rim-Style Rotary is used for quick setup and simple shapes, and a 3-Jaw Chuck Rotary is available for precise metal marking and etching applications. Add the ability to engrave and/or cut acrylic, wood, stone, rubber and more to your fiber laser machine with our dual source option. We'll add a CO2 laser for the highest laser versatility available. Engrave barcodes even on your largest parts and tools - up to 48" x 36" x 12.25" (1219 x 914 mm x 311 mm) with our Fusion Pro 48 laser machine. The flying-optic design provides the largest work area, along with a variety of other useful add-ons and features, which include the IRIS™ Camera Positioning system! Deep metal engraving on a motor engine header with an Epilog fiber laser machine. CAN I ETCH MARKS & ENGRAVE LARGE ITEMS? The unique flying-optic beam delivery of our systems provides an exceptionally large work area up to 40" x 28" (1016 x 711 mm)! 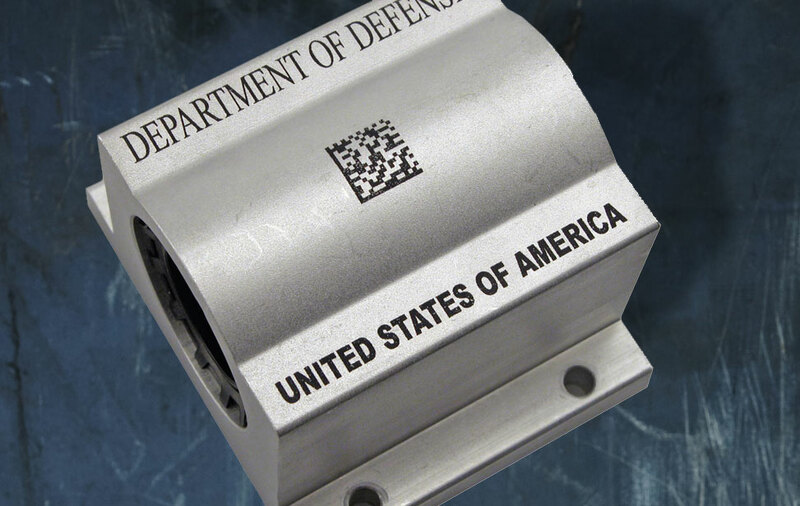 IS METAL MARKING WITH A LASER EASY? Designed with ease of use in mind, there is no proprietary software with our metal marking machines. Setup the job in the design program of your choice and print to the laser. WHAT IS THE LASER SOURCE? 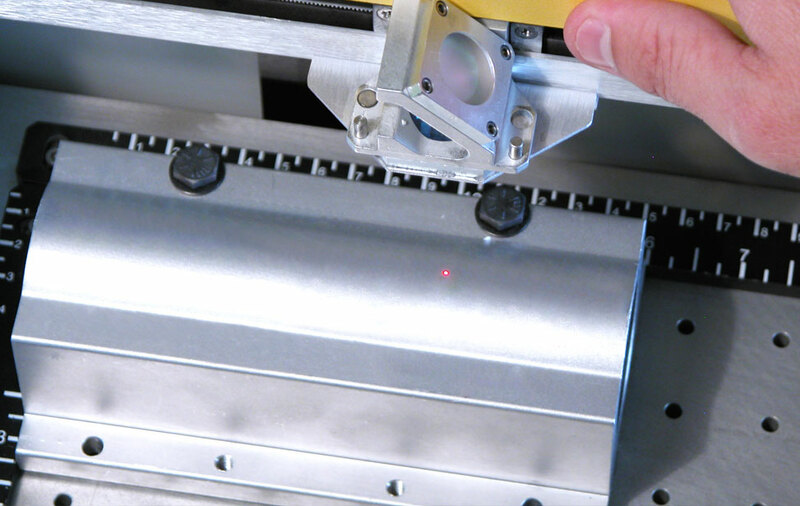 The fiber laser source creates a laser beam with a 1062 nm wavelength - ideal for etching metal and marking plastic. CAN I CREATE HIGH QUALITY MARKS? With the ability to laser engrave up to 1200 dpi, barcodes can be engraved even at the smallest dimensions, and laser marked text as small as 2pt is still legible. WILL THE LASER ETCH MULTIPLE TYPES OF BARCODES? You can easily engrave 2D, Data Matrix, UPC, linear codes or any other type of barcode with a laser engraver from Epilog Laser. WILL THE LASER ENGRAVE MULTIPLE PARTS AT ONCE? 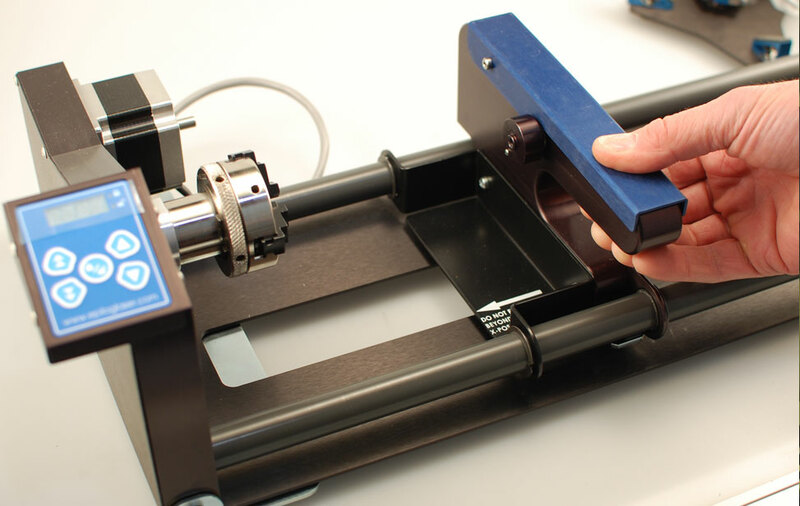 Create a jig into which you can place your parts and engrave hundreds of barcodes at one time. No dedicated operator is required. Contact us at 1300 20 15 10 or fill out the form above to learn more! Fill out the form to receive free engraved samples and a full product line brochure.